Home Apple Apple Music vs Spotify: Which music-streaming service is for you? Apple and Spotify have been contesting for market ground for years. Spotify now leads the market with over 96 million paying subscribers worldwide, but Apple Music is catching up every day, boasting over 56 million subscribers and the number is set to grow in years. As a long-time Spotify subscriber, I have to admit that some of Apple Music’s features are impressive. In reality, Apple Music and Spotify are not the only players in the field as there are at least 4 music-streaming platforms to choose from out there, including Amazon Music, Google Play Music, Tidal, and Pandora. However, not all of them are worth your time and money due to their pricing tiers and limited availability. Here, I will put both in a head-to-head comparison to find out which one is right for you. Both services have the same pricing structure as they both start at $9,99 per month for the individual plan and $14,99 per month for the family plan up to 6 people. There is also a student plan that costs $4,99 per month. Plus, both Spotify and Apple Music offer a free trial, but it is a little bit different. Apple Music now includes a 3-month free trial for access to over 50 millions of songs, so you can test the platform for up to 90 days before committing to paying for it. During your free trial, you can enjoy all of Apple Music’s features, including the ability to stream ad-free music and videos, and download music for offline listening. Spotify, on the other hand, offers a 30-day free trial for all newcomers, allowing for unlimited access to its full features. However, for most albums and playlists, you have to listen on shuffle with limited skips and no access to the radio station. Another pricing difference is that Apple Music now offers a secret $99 annual plan. That’s a $20 savings if you sign up for a year-long plan. This is something that Spotify does not offer. I have recently noticed that Apple Music now includes sales tax at the billing stage. That’s an extra 60 cents per month, which is not a big deal but a little bit confusing for some users. In short, Apple Music and Spotify share the same pricing tiers, but Spotify does have a free plan which Apple Music does not have. The only thing that Apple Music offers is completely free is the Beats 1 radio station. Each streaming service has a big catalog of tracks. 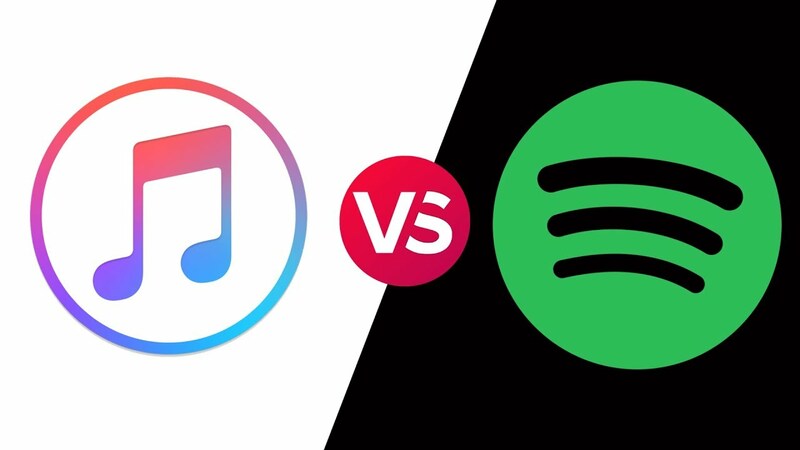 Apple Music claims to have over 45 million songs, while Spotify has over 35 million. So, Apple Music now has its upper hand over Spotify in terms of music collection size. Spotify has its own web interface that allows you to stream from a web browser. Meanwhile, Apple Music has a web widget, but you can stream your music from Tool. Apple Music.com. Both services now support Bluetooth speakers, meaning that you can stream your favorite tracks to compatible speakers like Google Home, HomePod, Amazon Echo. 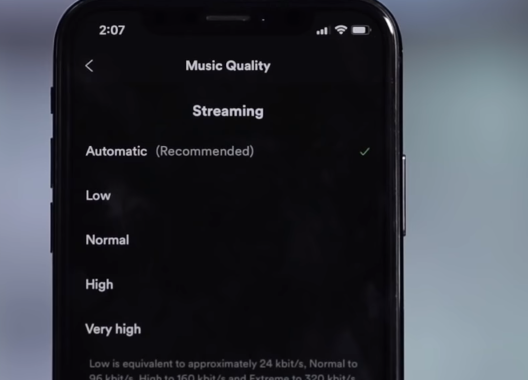 Plus, you can use Spotify Connect to cast and control your music playback. However, keep in mind that Apple Music is more of a closed environment like most other Apple products. It’s now compatible with multiple platforms like PC and Mac, but it does require iTunes, which is a little bit annoying. For instance, Apple Music works best with the HomePod, allowing you to control your music using Siri, but it sometimes fails to speak to my Amazon Echo. Spotify has its upper hand when it comes to sound quality. In reality, Spotify allows you to choose your streaming quality (96 kbit/s, 160 kbit/s, and 320 kbit/s). This is one of my favorite features as I can save my cellular data. Apple Music, on the other hand, only streams in 256 kbits per second. Personally, Apple Music offers amazing streaming quality, but you are stuck with what Apple provides you. The coolest part is that both services suggest new music and shows you have not heard before based on the music you frequently listen to. They also keep your playlists up-to-date based on your listening habits. Both services let you add thousands of songs to your library. However, Spotify limits you to 10,000 songs added to your music library. This is something I have been upset about for years seeing that Apple Music, on the other hand, lets you add up to 100,000 songs to your library. I am hoping Spotify will increase their song limit and catch up with Apple Music because 10,000 is way too low. Spotify and Apple Music now support offline downloading if you are a premium member. This means that you are able to download and save your favorite songs to your device as well as have them available when you are offline. Exclusive content is what sets Apple Music apart from Spotify. Indeed, Apple now has more exclusive deals with big artists out there, which is why certain albums or songs like Frank Ocean’s “Blonde” or Drake “Views” were initially Apple Music exclusives before moving to other platforms. Also, Taylor Swift’s albums were once exclusive to Apple Music for three years. In reality, both services offer exclusive content to attract more users. 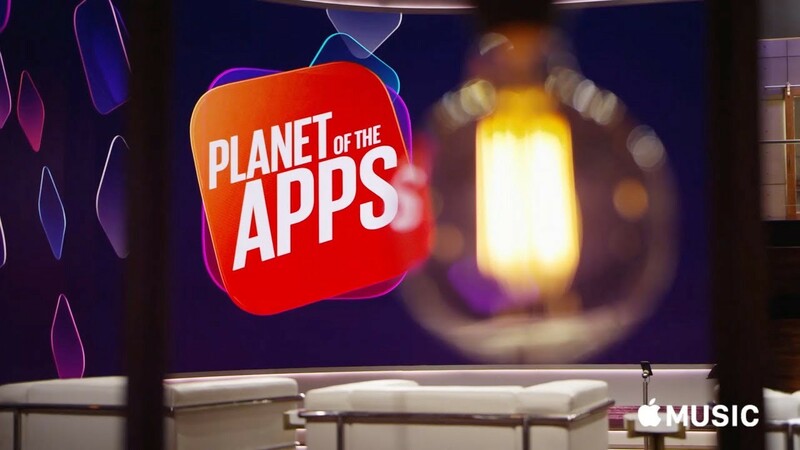 Apple Music has its exclusive video shows called Planet of the Apps, starring a lot of A-listed names like Jessica Alba, Gwyneth Paltrow, and Gary Vaynerchuk. Meanwhile, Spotify has its own thing called Spotify Sessions, a collection of studio and live recordings of a variety of artists in the world. The radio station is one of my favorite things when it comes to music-streaming service. Both Spotify and Apple Music offer their own radio stations, but it seems that Apple is doing a better job. Apple Music’s Beats 1 radio station plays more new songs when compared to Spotify Radio. So you can find a load of songs from new artists out there. Apple Music also includes on-demand radio stations from certain artists. However, it seems that Spotify has put a lot of love into its radio’s interface. Indeed, I can see the list of songs that Spotify will play next, while on Apple Music, I only can see the next song that’s going to play. Playlists are among the highlights of Spotify. Indeed, Spotify features Daily Mix and Discover Weekly. Daily Mix is a custom playlist of songs that you frequently listened to with some new songs added to it every week. Meanwhile, Discover Weekly serves as the best way to discover new music you have never heard before. Choosing between Apple Music and Spotify depends on what taste of music you now have. Personally, I prefer Spotify to Apple Music even though I am a long-time iPhone user. Spotify suits best what I want to listen to every day, from curated playlists to high-quality music. However, if you are one of those who has heavily invested in Apple devices, then it’s a good idea to stick with Apple Music.